Somali aid workers said Monday Turkey’s government had delivered over 8,500 tons of food — including sugar, wheat and oil — to relieve drought-hit areas of the country. Mohamed Yaqub, a local worker for the al-Manhal aid group, which is a partner of the Turkish Red Crescent, said the aid would be distributed in areas such as the Sol, Nugal, Bari Awdal and Banadir regions of northern Somalia. Turkey also delivered at least 11,100 tons of food to the capital Mogadishu, where thousands of displaced people are living. 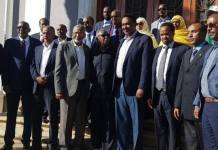 The Turkish mission in Somalia tweeted on Monday that food aid would go to people living in the capital, Somaliland and Puntland. 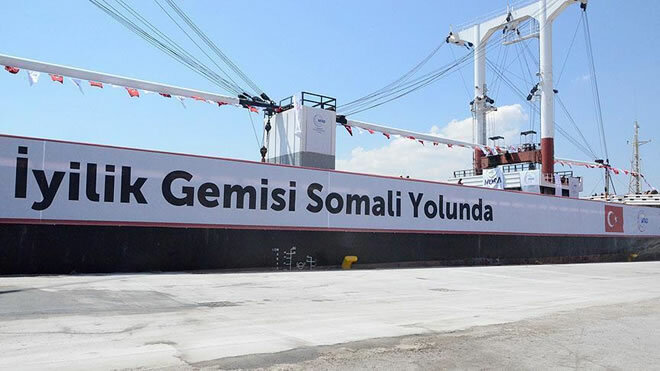 A ship carrying thousands of tons of humanitarian aid for the East African country arrived in Somalia last week from the southern Turkish port city of Mersin. This came after the United Nations said last month more than five million people — 40 percent of the country’s population — did not have enough to eat. The number of people suffering from a lack of food increased by 300,000 since February this year, the UN added.